Add 2tbsp oil, 1/4c+1tbsp water and mix well. Roll out as thin as possible. A silicone sheet works best for this. Sprinkle a little more mineral salt all over the top and use a knife to skor. Bake 12-14min. They should break apart easy and enjoy!!! 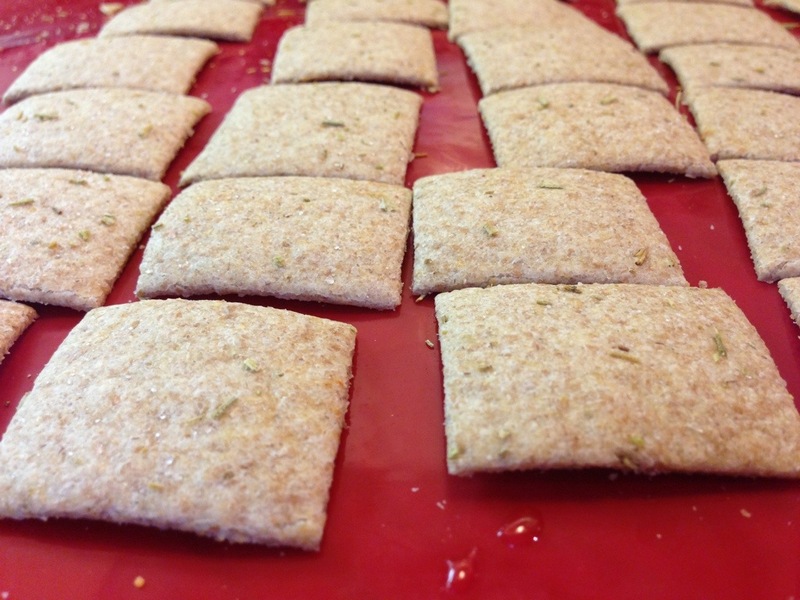 This entry was posted in Food, Organic and tagged cracker, Crackers, dip, flour, healthy, homemade, organic on January 3, 2015 by organicmegan. ← You Sleep Daily so Your Mattress Should ROCK. Talalay vs Organic Latex.